Pankaj was furiously typing away at the keyboard. It was way past Night actually it was closer to the morning but sleep was miles away from his eyes. After all tomorrow was the day when his dreams would come true, tomorrow was the day when editor of a famous magazine promised him that he will take a look at his article. 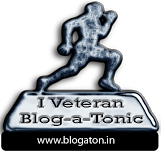 Pankaj was trying to get editor to say yes for some weeks, now finally his wish came true and now he was pounding his head and although his head was full of ideas for the article each idea seemed inferior for the article. In the end he decided to just write down the first thing that came to his mind. Now what can we write on the subject which isn't already being said. Pankaj got up from his computer and walked to his bed and lay there for some time and he let his eyes shut down. "Hey Shyam" some girl shouted, Pankaj got up with a start, who was that he was in his flat on 15 floor. There was no one in his flat besides him today, and he was pretty sure that he heard the sound close by. "What happened, did you forget me?" Pankaj tried to open his eyes but could not, he was seeing a dream. But even while sleeping Pankaj was thinking that how can he see this dream. When he didn't know any of the people. "Do you want to come to the fair? everybody is going" asked Radha. Together they walked hand in hand to their other friends to leave for the village fair. Nobody objected of them holding hands after all they were just kids 10 years old. "But Maa what's the problem with that, we have been friends from childhood. You never stopped me before." Complained Radha. "I don't want to marry" Said Radha but clearly she was shying away on the mention of her marriage till now Radha used to marry her dolls but now her mother was talking about her own marriage. Hmm. looks like I am really getting bigger now thought Radha while running away. "Yeah, she is alright, she doesn't want to play anymore, she is learning household work now. Do not disturb her now" Said Radha mom. "Huh who doesn't like to play?" wondered Shyam loudly while walking away. Now it is human nature that it craves the things which are impossible or at least hard to get. When Shyam and Radha were playing together daily then they didn't have any thoughts about each other than just games. But now the situation was like this that Shyam kept on thinking about Radha even while playing and Radha kept on thinking while doing all the household work. Finally after one month of not meeting, and when the craving to see each other grew very much. Shyam sent a little girl from near by to Radha's home to see if she was okay and when will she be able to meet him. while the girl came back Shyam was getting impatient while waiting for her. 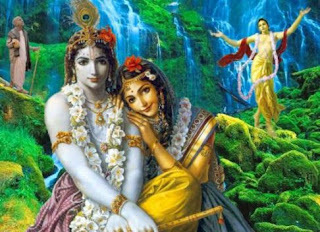 Finally girl came back with the message from Radha, she asked him to meet her their usual spot just outside the forest. After half an hour, Radha came. When Shyam saw Radha, he could not believe it was her, after all he was seeing her for the first time in a saaree. "Hmm Go, I won't talk to you, why didn't you meet me for so long? i was missing you and you even...." Shyam would have said more but stopped mid-sentence because for the first time he also saw Radha crying. "I was also missing you very badly, but please stop crying now and tell me everything whatever you did in the last month" said Shyam. Listening this Radha started telling Shyam everything. They were back to being Best Friends. They kept on talking for 2 hours when Radha took his leave but promised to meet him at the same spot the next day. This way Shyam and Radha again started meeting daily but earlier they used to be with friends but now they used to be alone. Slowly and steadily and without anyone of them realizing their talks moved to their future planning and before they knew they were in love. They both used fly on the 9th cloud. Radha would now finish all the household chores playfully singing some song without any protest while before she used to find all the excuses to escape the work. Shyam also started working on his father's farm. And they kept on meeting everyday after work in their secret place in the forest. They started loving each other so very much that their 2 hour meeting was looking less and less everyday. On the other hand their family members were getting suspicious of them being missing from home every day. But these things didn't trouble the young lovers.. yes lovers that's what they had moved on to from being best friends. But as they say "Ishq aur mushq chupaye nahi chuptay" finally one day Radha's mom followed her when she left the house and caught her when she met with Shyam. Radha's Maa was thundering when she caught them. Thapak!!!! Thapak!!!!! both to them received a tight slap on their faces. And she warned Shyam not to ever see her daughter again. And then she dragged her only daughter to her home. Shyam-Radha were devastated. They were now in-separable but kept apart from their families. Radha's mom has come to his house as well and shouted on his parents as well. And asked them to make their son understand. The main problem was Radha's Maa she never liked Shyam from the beginning his father liked him very much but ever since he passed away after a long disease. He wasn't welcome to the house. And ever since she caught them Radha's mom never ever left Radha alone in the house. But even universe works towards making sure that two loving souls meet and try to find their happiness together in each other. Shyam's family was with him but they did not want to hurt their old friend. But their son's pain was getting out of their hands and they started working out details on how to make sure that the young couple can meet again. "Beta, don't cry, we will see what can be done." Assured his father. But Radha's mother's reply was anything but polite - "How dare you come to my house and insult me? How dare you think that I will marry my girl in your house? I have fixed her marriage in a very wealthy family. Never come back to this house again now get out of here." Defeated and worried for their son they came back and informed him of their decision. "Please my son don't cry we will see what can be done" his father assured him. "There beta, Shyam please get this powder to Radha and ask her to mix this in her mother's nightly milk, this will make sure that she doesn't wake up while you guys leave the village. Go to the next village to your mothers home and wait there for some time." Said Shyam's father. everything completed as planned, Radha looked at her mother one last time before leaving her home forever. She put some clothes in a chunni and went to Shyam's home. from there they left for Shyam's Grandmother's home in the next village. Next morning when Radha's mother woke up, she realized what had happened, she looked for Radha in the house but she had left a long time ago, although Radha had left a small letter for her mother informing her that she was leaving her home for the sake of love, and if she ever accepts them again, then she might come back to the village with her husband - Shyam. After reading this Radha's mother started crying and collected all her friends and neighbors and told them that Shyam mislead her daughter and forced her to elope with her. Everybody shouted with anger and started looking everywhere for them. They reached Shyam's house but his parents acted really well made it a great play to be unknown that their son left and told Radha's mother that Shyam also gave them milk in the night and when they woke up Shyam was gone. Just at the entrance of the jungle there was a dead body of a Tiger. And above him from the tree hung the dead body of Radha. Everybody understood what must have happened. The tiger must have attacked them when they reached here. Shyam fought the tiger to save Radha and killed it but could not save himself and died in Radha's arms due to the fatal injuries caused by tiger. And finally Radha committed suicide unable to face the greatest tragedy of losing her love after almost achieving it. She filled her 'maang' with Shyam's blood and hung herself with one of the saarrees. The story of Radha-Shyam became a legend in the village. Its really strange people are obsessed with love, but can not bear the idea of love story and lovers but feel proud in remembering lovers once they are dear. Well their story didn't end there after 100 years village grew but their legend stayed with them. villager constructed a temple and established lover's statue there, naming it Radhe-Shyam's temple. With time from lover's for local people they firstly transformed into God's incarnation and then god itself. Now a days the village is called Vrindavan and a tragic tale of two young lovers has been converted to a divine pair. Suddenly Pankaj woke up all sweaty and thirsty. He knew from where he knew these two lovers from a picture on the wall. Picture of Radha-Shyam or Radha-Krishna whatever call them. Now, he was ready to give a new love story to the editor. P.S. - I wrote this as the first story, which I wrote instantly without any prior planning. I wrote it as I went along. Hope you like it Please don't forget to post your precious comments and suggestions.